Of the 1097 people who passed by during that 43 minutes, only a handful stopped even briefly to listen or to throw some money into the open case at the musician’s feet. Everyone was in a hurry to get to work and couldn’t be bothered to stop. By now, most of you may know the story I’m referring to, but in case you don’t, or want to see where this post is going, . . .
this was not the usual street musician. The violinist in this story was the world-famous Joshua Bell playing a $3.5 million dollar Stradivarius crafted in 1713. Bell had filled Boston’s Symphony Hall earlier that week, where a mid-priced ticket sold for $100, but he was invisible to the passers-by in the Metro on that particular Friday morning. They assumed he was the usual street musician not worth their time or attention. For his 43-minute gig in the Metro station, Bell netted about $32 – all dropped into his violin case on the floor. People didn’t notice Bell, but Bell noticed – that not only did people pass by without paying the slightest bit of attention to him, they didn’t even register when he was playing or when he finished a piece. He and the music were irrelevant. People weren’t expecting a famous musician, they assumed the violinist was someone just scrounging for money and, because of that, he wasn’t worth their attention. Context mattered. Or as Gene Weingarten put it in his Washington Post story, Bell was “art without a frame.” Weingarten had proposed the Metro idea to his Washington Post editors and his resulting story, Pearls Before Breakfast: Can one of the nation’s great musicians cut through the fog of a D.C. rush hour? Let’s find out won him a 2008 Pulitzer Prize for feature writing. This is a must-read article (with video)! It is a fascinating, almost minute-by-minute sociological, historical, musical, and human-interest account of this experiment. Was this an unusual event? Well, maybe the specifics of a world-famous violinist playing in the Metro were unique, but the framing effect (or cognitive bias) is well-known. Whether a choice involves artwork, food, wine, or listening or not to music, people respond in different ways depending on how the choice is framed. In this case, the choice of listening vs. not listening was framed by the venue. People weren’t streaming through (or into) Carnegie Hall, expecting to hear a famous musician. They were in the Metro with no expectation of hearing a professional performance. Studies about framing or cognitive bias have been done involving artworks, wine, soft drinks – and music. In all of these studies, researchers have found that the way in which choices are framed not only influences the outcome, but actually activates different parts of the brain. Subjects in an fMRI (functional magnetic resonance imaging) who looked at artworks that were said to come from a gallery vs. those that were said to be computer-generated, gave higher ratings to those perceived to come from a gallery, even if the labels had been reversed. And activity showed up in different parts of the brain when subjects thought they were looking at an artwork validated by a gallery. Subjects in another study, who sipped wine while in an fMRI scanner, preferred wine that was labelled as being more expensive, even though the same wine was used, just labelled with different prices. Again, different parts of the brain were activated when the price was higher, as people assumed that the wine would be more pleasurable to drink. And in a study with Coke and Pepsi, researchers found that when a taste test was done without brand information, participants split equally in their preference for Coke or Pepsi, and there was a consistent neural response in an area of the frontal cortex that correlates with behavioral preference. When the subjects knew which brand they were drinking, however, there was a dramatic influence for Coke, but not Pepsi, on brain areas involved in modifying behavior based on emotion. According to the researchers, this brain activity shows how an iconic brand image that is a part of the culture (Coke) can influence a behavioral choice. So how does framing, or cognitive bias, play out when listening to music. (Forgive the pun.) 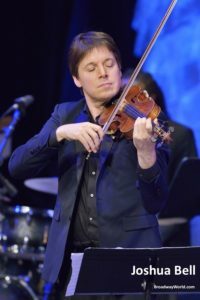 The Joshua Bell experiment was a real-life example of what happens when people assume they are hearing one thing, but it’s another. In confirmation of that example, a study came out just this month (April 2018) that shows what happens in the brain when one is listening to music perceived to be played either by a student or by a professional, and it’s well worth thinking about. 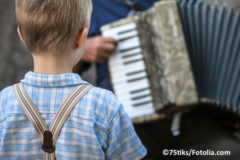 Researchers at the University of Connecticut, Arizona State University, and the University of Arkansas recruited 20 participants who had no formal training in music. The participants listened to eight pairs of 70-second excerpts of piano performances in the Western classical tradition, such as Beethoven, Mozart, Brahms, and Chopin. They were told that one of each pair was performed by a conservatory piano student, and one by a world-renowned professional pianist. The professional excerpts were of pianists such as Alfred Brendel, Mitsuko Uchida, and Vladimir Ashkenazy but were identified only as “professional,” not named. The participants listened to each excerpt twice, and sometimes the labels were reversed – what was labeled as the professional performance was actually the student performance and vice versa. Participants rated how much they enjoyed each performance on a scale of 1 to 10, and they indicated which of the pair (student or professional) they enjoyed the most. Meanwhile, researchers were looking at brain activity. They found that when participants preferred the “professional” excerpt, there was significantly more activity in the primary auditory cortex. There was also more activity in brain regions associated with pleasure and reward. The increased activity in these brain areas began as soon as the listener was told that the excerpt was a professional – before the music even started, and it remained consistent throughout the 70-second excerpt. The fact that the performance was labeled as “professional” caused the listener to pay more attention, hence more activity in the primary auditory cortex, but the increased activity in brain regions associated with pleasure and reward meant that they were also primed to enjoy it more. But what is more interesting is that some of the participants preferred the “student” performance rather than the “professional,” (sometimes the labels were switched). And when this was the case, researchers found that there was more activity in the regions of the brain associated with executive function – with cognitive control and deliberative thinking throughout the excerpt. So back to Joshua Bell. Commuters that morning weren’t expecting a professional musician so they didn’t even stop to listen. But read Weingarten’s story to see about the one man who actually did suppress his bias about street musicians and stopped to listen for a few minutes – aware that he was hearing something out of the ordinary. 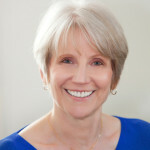 Several months ago, as my husband and I left the hall after an all-Mozart concert by one of America’s top orchestras, I overheard a man behind me say “this seemed to be rookie night.” A harsh comment, perhaps, but I shared his view that this concert was not up to this orchestra’s usual standards. On the other hand, had we just heard the performance, not seen the orchestra, and been told that it was a community or student orchestra, we no doubt would have thought it was wonderful. It’s all in the framing. Resisting or suppressing bias is hard work, as the researchers in the study above noted. But Weingarten points out in his feature article that members of one demographic consistently wanted to stop and watch – and that was children. Several people had a child in tow, and every single child tried to hold back and listen as the parents hurried them along. Children don’t have a cognitive bias about music. (Read New year – new musical beginnings for more on children and music.) They were fascinated with the music and wanted to listen. They had no frame telling them whether it was worthwhile or not. How thrilled 1000+ people would have been had they put frames or filters aside and done as the children wanted to do – stop and listen and realize they were hearing something extraordinary that January morning. On Joshua Bell’s return to the Washington Metro seven years later. And another Weingarten “must-read”: Gene Weingarten on Bell’s return to the Metro. This phenomenon may have implications for examination candidates and competition entrants too. A musician who presents a confident posture and authoritative demeanour tends to raise one’s expectations but, of course, it’s up to the examiner or adjudicator to see past the exterior and listen with an open mind. Thanks, Sandy. It’s good to hear from you! Just this week I read an article by a person involved in home schooling. She said that homeschoolers could learn art from “professional artists.” Hmm. The assumption is that a public school teacher has not studied art as a craft but only learned to teach art. Plus I happen to know that one of the art teachers for local homeschoolers was a retired public school art teacher. Another form of bias. I would think also that the expectations for a professional performer equal consistently excellent performances, whereas a student would be given a pass of sorts. And aren’t we all students, wherever we are in our careers? Hi Kay, I would hope that we all remain students – at whatever stage in our careers. There’s always more to learn and experience.